As much as I love shooting empty photos of areas of Disneyland, sometimes, a capture with people can be equally fulfilling. 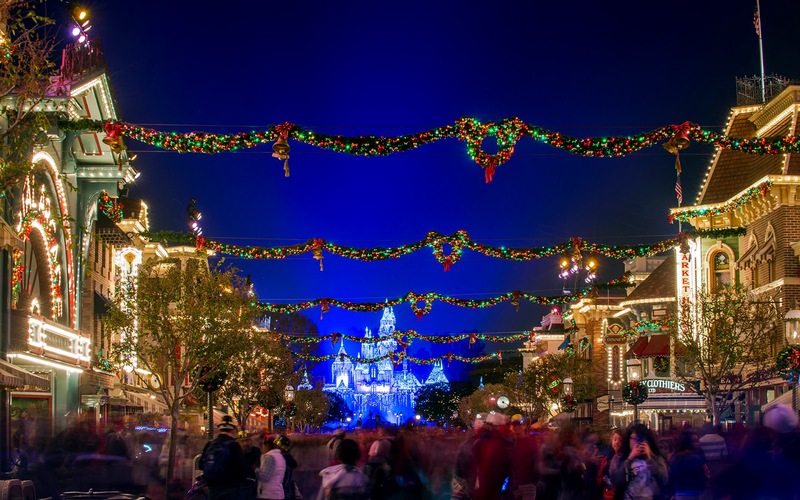 Guest infuse the life into the Happiest Place on Earth, and a scene like the picture below really sets off the frenetic but communal of the holidays. With the Winter Castle set off in a cool blue glow in the background in contrast to warm Main Street, the scene appears even more ethereal! A busy Main Street evening during Christmas time.